Asserting that its foreign policy towards Russia has never changed, India on Tuesday said it was its "tried and tested real friend". 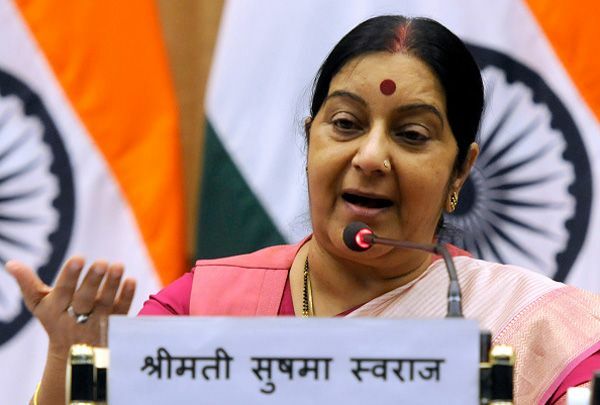 During her meeting with Russian Foreign Minister Sergey Lavrov, External Affairs Minister Sushma Swaraj said she was very happy to convey that there was progress on all components of 'Druzhba-Dosti', the vision document agreed upon during the meeting between Prime Minister Narendra Modi and President Vladimir Putin last year. On his part, Lavrov said he was hopeful that Swaraj's visit will provide an impetus to India-Russia ties. He also referred to India's entry into Shanghai Cooperation Organisation (SCO) and said that its full membership will give a boost to the efforts of the group in achieving its goals. Russia has been favouring India's permanent SCO membership, saying joining of the group by the largest democracy will add weight to the organisation.The SCO had set in motion the process of granting India a full membership to the grouping at its meeting in the Russian city of Ufa in July. India, one of the largest energy consumers in the world, is keen to get the membership in the bloc as it will help it play a major role in the SCO energy club which was set up to create a unified energy market as well as to ensure cooperation among major oil and gas companies from the member nations. Three major suppliers of energy - Russia, Turkmenistan and Kazakhstan - have been playing major roles in the SCO energy club and the Indian government feels getting membership of the bloc will give it greater access to a number of key energy projects in the region. SCO was founded at a summit in Shanghai in 2001 by the Presidents of Russia, China, Kyrgyz Republic, Kazakhstan, Tajikistan and Uzbekistan. India, Iran and Pakistan were admitted as observers at the 2005 Astana Summit. Lavrov also talked about India going to chair the BRICS (Brazil-Russia-China-South Africa) next year and said today's meeting was a good opportunity to recap the functioning of the grouping.